Rep. Michele Bachmann’s historic 2010 fundraising haul topped $13 million, according to post-election campaign finance reports released today. 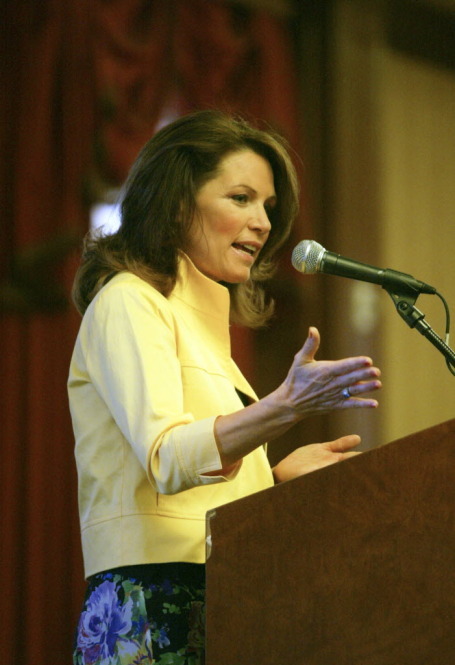 Bachmann raised $13.2 million in the 2010 cycle — $12.8 million coming from individuals — and spent nearly $11 million on her successful reelection campaign against state Sen. Tarryl Clark. And the Minnesota Republican still has $1.97 million in the bank, which is more than many House candidate raise over an entire election. Bachmann’s large war chest will certainly fuel speculation about her political future, and whether she’ll seek a run for higher office. Thursday’s report showed that Bachmann raised $2.3 million the final three weeks before the election, topping off her fundraising numbers that broke House records and bested most senators.